‘The Pitch is Ours!’ – KONAMI looks to the sheer drama, incredible skill, and big game moments of awe within its on-field focus for PES 2015 with the astounding high quality visual benefitting from the FOX engine – debuting on PlayStation 4 and Xbox One! 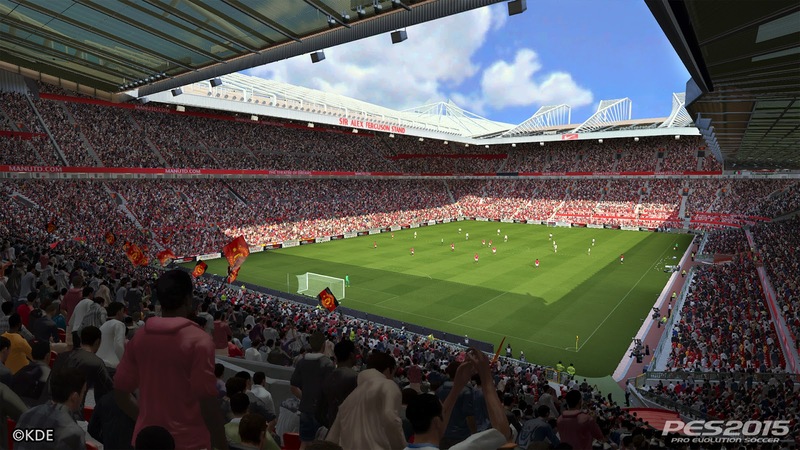 Konami Digital Entertainment B.V. has announced the first details for PES 2015, elevating its on-field realism to all-new levels as it recreates the heart-in-mouth feeling associated with being part of a crucial top-flight match. PES 2015 is centered on the mantra ‘the pitch is ours.’ Through the combined efforts of the Tokyo and Windsor-based PES Productions team, the heart-thumping and nail-biting moments of top-flight football have been perfectly recreated. 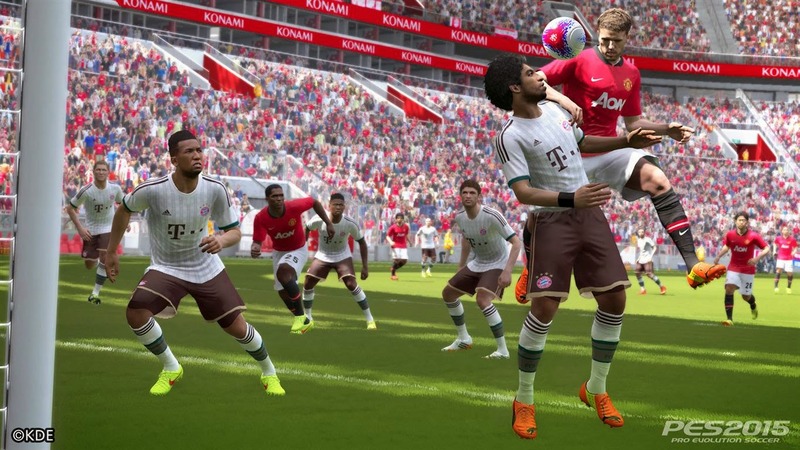 PES 2015 sees a true return to core PES values of total control, super responsive controls and renowned gameplay, where the user has unrestricted control over how they play. 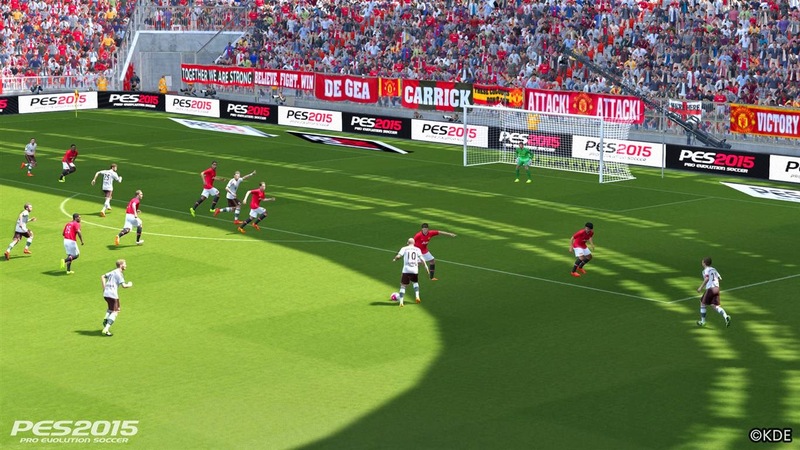 KONAMI has completely reworked a raft of key elements to ensure every pass, shot or off-the-ball run is finely balanced to give maximum player satisfaction within PES 2015’s on-field action. A new shooting system allows a variety of unrestricted shooting styles with precise control over the direction and power of all strikes. Countering enhanced attacking options, goal keepers intuitively close angles and are capable of an incredible number of ways to react to any situation, including altering centre of gravity. Likewise, passing options available to players when delivering a final pass have been expanded, allowing for little knock-ons or searing low passes that use new physics routines to ensure the ball behaves realistically across every situation, providing unique and differing outcomes decided by user actions. The final key element that has been totally reworked centres around the degree of close control on offer. Positioning is vital, but the ability to dribble into space and beat your marker is now hugely improved and opens up PES 2015 as the definitive on-field experience. These central features are then supported by additional elements to create the most entertaining and breath-taking match-day experience imaginable. Incredible Response Times: Lightning fast controls allow users to instinctively react to every movement when the ball is in play. Full Pitch AI: The game engine now features AI that is constantly adjusted covering everything that develops on the pitch, resulting in players making runs, finding space and marking opponents even when off the screen. Closest Control: Take on defenders using each player’s bespoke dribbling skills, as opposed to relying on ‘trick’ moves. New skills include jinking runs, responsive sprints and incorporating a much wider range of pace – from walking to sprinting. Case for Defence: Users have complete control over when to close down, tackle, or hold up play. Successful defending is based entirely on the decisions the user makes. 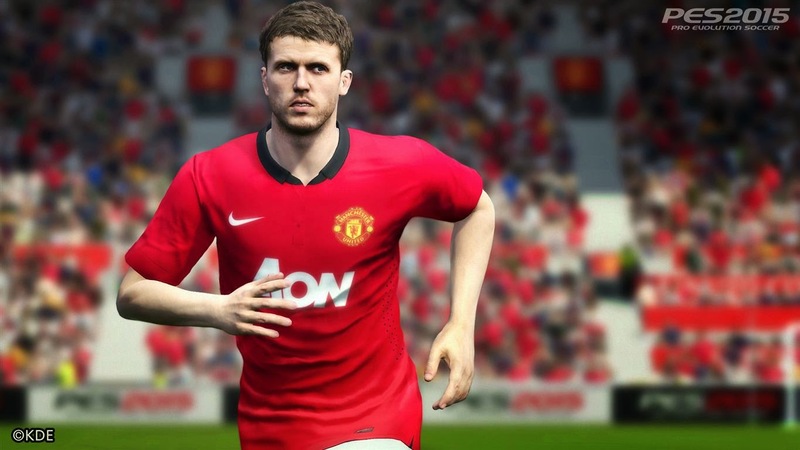 Behavioural Patterns: PES 2015 now boasts a huge array of players that both look and play like their real-life counterparts. KONAMI has faithfully recreated over 1000 players this year, with bespoke animations and playing styles across its extensive player roster. They run like they should, play the way they do in real life, and react emotionally as they would to fouls, goals or referee decisions – with their frame of mind actually affecting how they play! Poetry in Motion: The individuality of the players is further enhanced with seamless animations. No sacrifice to animation has been made in the pursuit of fast response, yet the movements flow effortlessly calculated in real-time and dependent on the player’s position in relation to the ball and its speed. 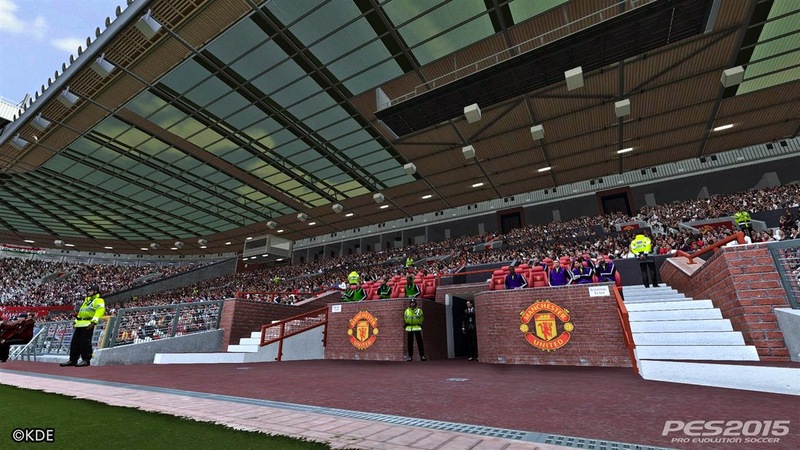 Bring the Noise: PES 2015 mirrors the atmosphere of a top-flight match. The crowd animations have been hugely enhanced, and the ebb and flow of a match is met with context-sensitive crowd effects and movements. 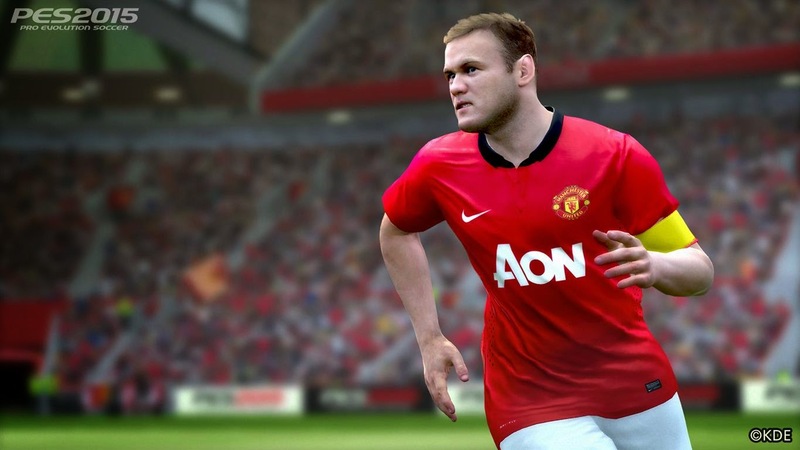 The PES series has always centered on player realism: recreating their abilities and letting the user run riot with the world’s greatest stars. 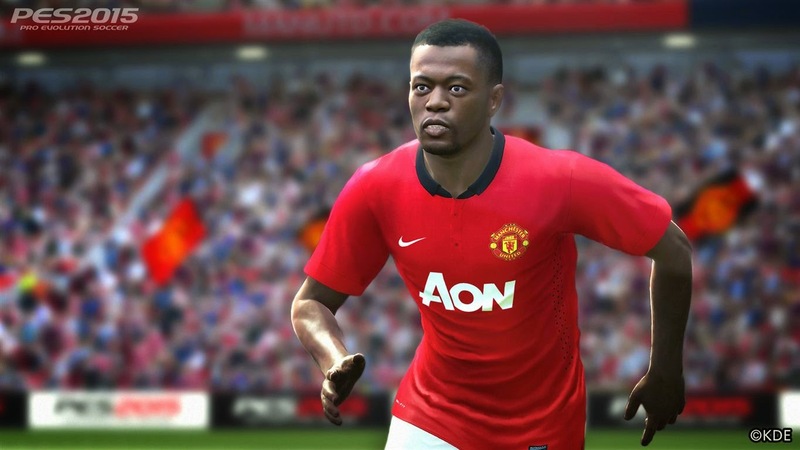 The FOX Engine-powered PES 2015 is as committed to this as ever, aiming to bring the best players and teams to vibrant life – recreating the playing styles of the world’s best sides and stars. 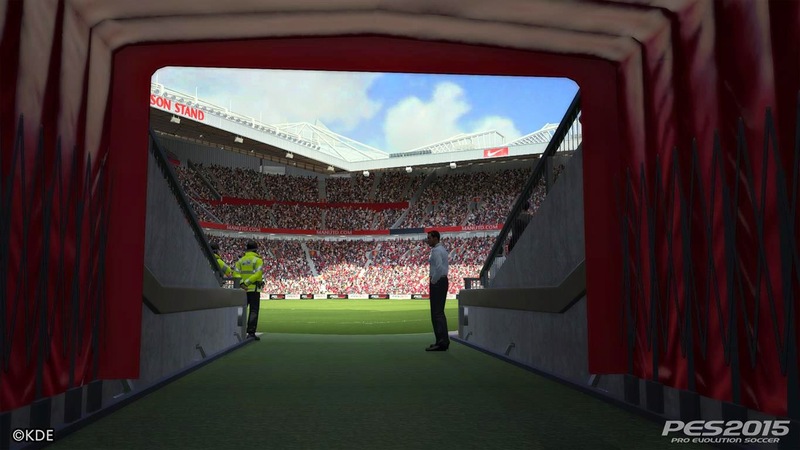 PES ID: Teams will be set up to play as they do in real-life, while their star players will work within this framework, but will be instantly recognisable via their runs and playing styles. The world’s greatest teams will not only move and find space like they would in real life, they will also defend or attack like them automatically. Balance of Play: Teams will automatically adopt their real-life counterparts’ game plan, whether it is counter-attacking, out wide, or defensively minded. With these key advances in place, however, KONAMI has not neglected the wide range of options users expect. With a wealth of new options and enhancements to established favourites set to debut in PES 2015.
myClub: Extensive Master League Online overhaul allows players and managers to be added using accumulated GP or via micro-transactions within club dealings. Agents now used to meet player requirement criteria, while unhappy players can upset the balance of a side to detrimental effect. Extends to offline play. Live Updates: Weekly data updates constantly adjust transfers and team line-ups in English, French, Italian, Spanish and Brazilian leagues. Player data is also updated based on current performances every week, so if a player is on a goal-scoring streak, his stats will be boosted accordingly in the update. Applied to all online modes and optional within single-player mode. Accurate Player Stats: The player parameter system for PES has been completely rebuilt, working with key community sites across the globe to create the most realistic player stats database. Adaptable Match Environments: Does your opponent prefer to play a passing game? Then tell the groundsman not to cut the grass so short. Or have it watered to speed up your team’s passing play. You can tailor any part of your stadia to suit your bespoke needs. In the coming months KONAMI will announce further details regarding game presentation, ball physics tied to weather conditions, new leagues, a revolutionary role control system, enhanced player and stadium edit modes, online systems and cheating technology, plus talk about improvements to existing modes such as Master League and Become A Legend. 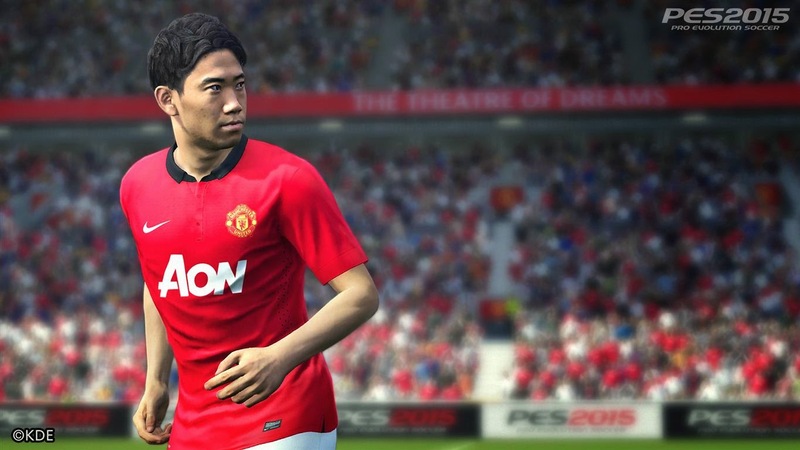 PES 2015 will be released for PlayStation 4, Xbox One and additional formats during autumn/winter period of 2014.